There is an unusual exhibit currently on display inside the Markosian Library at Taylorsville Redwood Campus. Entering the library means being greeted by ten mannequins, clad in garments woven, sewn and stitched together from upcycled materials. The Salt Lake Community College Fashion Institute is making a statement, and they are going to be heard. 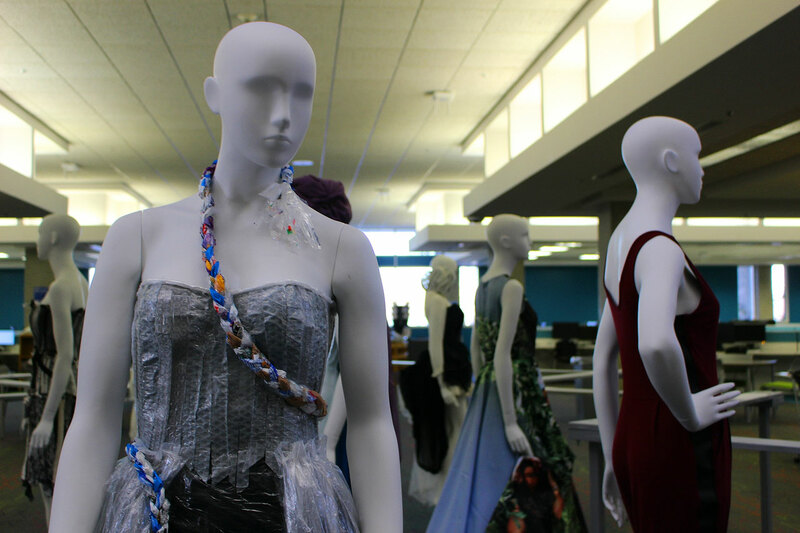 With materials ranging from garbage bags to old banners from the Salt Palace Convention Center, SLCC fashion students and faculty are using their “Fashioning Our Environment” exhibit to remind everyone about the cost of their clothing. Caldwell assigned her students a broad category — “how fashion affects the environment” — and they ultimately created garments covered in plastic bags, upcycled leather, denim and even lace curtains. This isn’t Caldwell’s first show. Last year, she organized the Fashion Institute’s first successful exhibit. “Dressed to Protest” spurred this year’s theme. Mojdeh Sakaki, the institute’s program director, is proud of the initiative shown by her students. Caldwell emphasized that the exhibits were heavily direct and created by students. Each garment is unique and focuses in on one issue that fashion creates for the environment. One gown, for example, illustrates how the fashion industry can cause pollution. According to the World Resource Institute, 1.3 trillion gallons of water per year are used globally for the dyeing of clothing. In addition, the textile industry is responsible for 20 percent of global water pollution. The Fashion Institute’s exhibits have both shown to be tied to politically charged statements, which most wouldn’t immediately associate with fashion. “People only think of fashion on the runways of Paris, they don’t realize the platform it has,” Sakaki says. 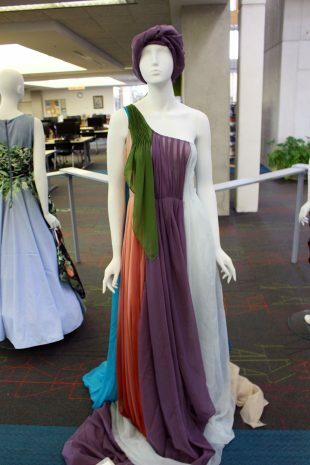 “Fashioning Our Environment” will be on display in the Markosian Library through Feb. 8. 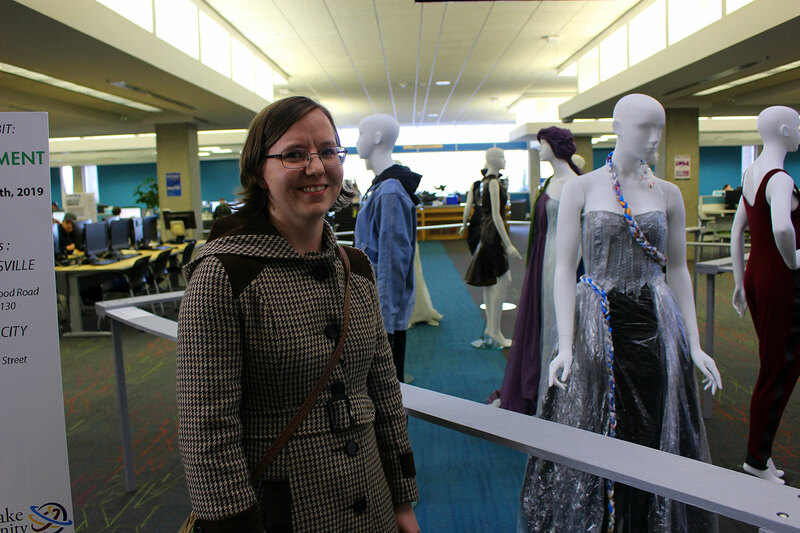 Visit the SLCC Fashion Institute to learn more about this and other projects.